Because books on music directing are rare, you have to look for advice and suggestions in other books. 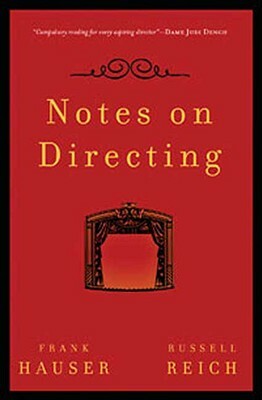 Here are 10 notes directly quoted from the book Notes on Directing by Frank Hauser and Russell Reich. To apply to music directors, modifications are indicated in italic. "Learn to love a musical you don't particularly like: You may be asked to music direct a musical that, for any number of reasons, you don't think is very good. In such cases it is better to focus and build on the musical's virtues than attempt to repair its inherent problems." "Don't try to please everybody: With both the authority and the responsibility to music direct well, you will inevitably have to make some unpopular decisions. Accept the grumbling. Be strong and calm in the face of opposition. Realize that normal conversation includes a good portion of complaint." "Assume that everyone is in a permanent state of catatonic terror: This will help you approach the impossible state of infinite patience and benevolence that actors and others expect from you." "You perform most of the day: As a music director, you are there to explain things to people and to tell them what to do. Speak clearly. Speak briefly." "Don't work on new material when people are tired. Review what you have already done." "End rehearsals on an upbeat note: Consider thanking each person individually for his or her commitment and contribution." "Sincerely praise actors early and often: Rather than correcting your actors all the time, get into the habit of frequently telling them what they are doing right." "Never, NEVER bully... either by shouting or sarcasm or, worst of all, imitation." "Give actors corrective notes in private. This will not only prevent damage caused by embarassing them in front of others, it will make them feel good to get individual attention." "Include every single member of the cast in your note sessions. Surely you know that in the theatre, silence is invariably taken for disapproval."